Ben Roethlisberger admires Tom Brady, so much so that a No. 12 jersey hangs in Roethlisberger's home office. Now Big Ben needs to do something he's rarely done: beat Brady. Sunday, the Patriots come to Pittsburgh with the AFC's top seed on the line. And a win would mean even more when it comes to Roethlisberger's standing as an all-time great QB. 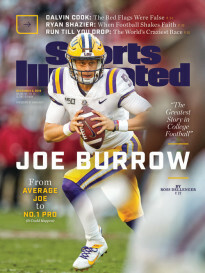 He has accomplished greatness in his 14 years: three Super Bowl appearances and two Lombardi trophies, an Offensive Rookie of the Year award, a passing yards title. But there are still a couple holes in his résumé. Roethlisberger has never been named league MVP, and he's never topped Brady when it counts. All three of his AFC title runs did not go through the Pats (Ben is 0-2 against them in the playoffs), and Roethlisberger has only beaten a Brady-led team once since 2005. All of that could change. Right now, Roethlisberger is playing as well as any quarterback in football. Last week, he threw for 506 yards while Brady, in his 250th career game, had his worst performance in terms of adjusted yards per attempt (3.79) since 2009. In fact, since his five-interception "Maybe I don't have it anymore" debacle against the Jaguars, Roethlisberger has led the AFC in yards and touchdowns (only fellow 2004 draftee Philip Rivers has a better passer rating during that span). Big Ben will also have the advantage of a better supporting cast, with MVP caliber players at running back and receiver. Tom Brady, meanwhile, has a defense that ranks 30th in Football Outsiders' efficiency metric. A win Sunday could lift Roethlisberger into MVP favorite territory, allow the Steelers to host a potential AFC title game, and boost his chances of joining Brady as the fourth three-time Super Bowl winning QB. 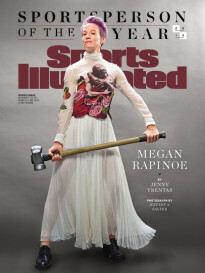 And if he can't topple his New England nemesis now, when will he? NOW ON THE MMQB: Jonathan Jones highlights the Panthers' first-year defensive coordinator ... Albert Breer describes Jerry Jones's long game ... Scot McCloughan explains the risk/reward decisions that go into playing an injured Aaron Rogers ... and more. LATER TODAY: Andy Benoit guesses how Bill Belichick will defend Antonio Brown ... Tim Rohan talks to Brian Urlacher ... and more. Stay tuned. 1. Broncos 25, Colts 13. 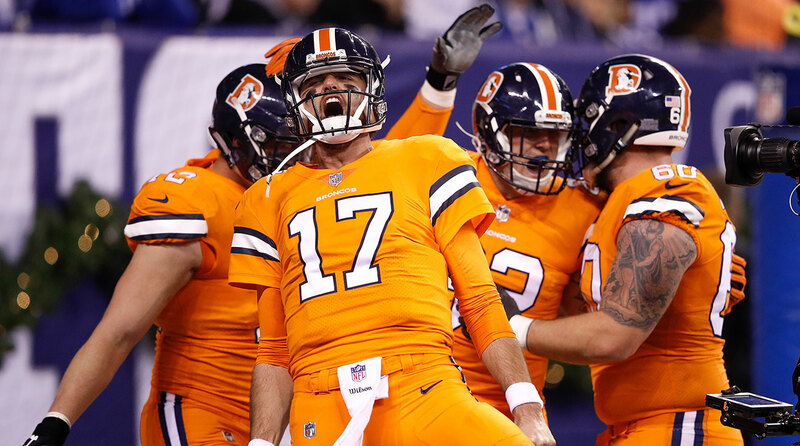 Brock Osweiler came in for an injured Trevor Siemian and threw two touchdown passes, but it was the running game (213 total yards) that powered Denver to a second straight win. 2. How about that for the 2017 TNF finale? Don't worry, it will be back every year for the forseeable future, says Dan Graziano, who walks through the hypothetical negotiations around playing on Thursdays that could occur during the next round of CBA talks, and shows how they will likely end. 3. Settle in for this terrific feature, described by the author as "A season-long look at high school football in 2017, through the lens of a coach, a quarterback, a school, and a run back to the state championship game." Bravo, Jesse Dougherty. 4. Goodness. Interim Giants coach Steve Spagnuolo Monday: "Eli Manning is our quarterback. I don’t feel that changing." Interim GM Kevin Abrams Thursday: "I think we’d like all of [our] young guys to get a chance." So Davis Webb might play after all. 5. 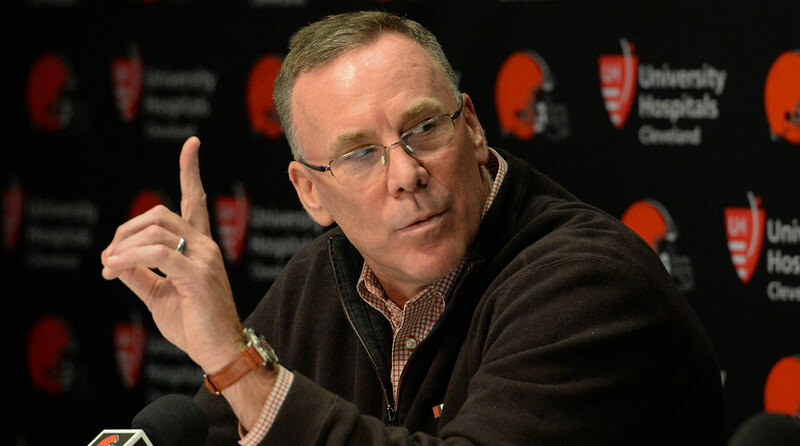 I'm going to give John Dorsey the benefit of the doubt. His line Thursday, "The guys who were here before, that system, they didn't get real players," drew fire online, seen as a slam on Sashi Brown (and his underlings who are still in the building) for picking the wrong players during his tenure. I see it more as an attack on Brown's general strategy of trading for future assets rather than current players. ​Either way, Cleveland's new GM seems unwilling to hold back, and ready to change things. "I'm going to do my darnedest to get Hue [Jackson] players," he said. 6. Here's a weird stat: if the Bills win Sunday (as they're favored to), it would be the fourth time in 12 years that the Dolphins have beaten the Patriots at home and then lost in Buffalo in consecutive weeks. 7. December is National Impaired Driving Prevention Month. Donté Stallworth​ opens up about his DUI manslaughter conviction in the hopes it will help prevent more people from becoming casualties of impaired driving—there have been 70,000 since 2009. 8. "There's a buzz around the 49ers," Ann Killion writes. "One that hasn't been there since Levi's opened in 2014." Sunday, Jimmy Garoppolo makes his home debut and begins to assert ownership of San Francisco's stadium. 9. Details are still few and far between, but UPMC hospital in Pittsburgh announced that Ryan Shazier "has started physical rehabilitation as part of his recovery process." 10. It's been overshadowed by Saturday's Chargers-Chiefs showdown and Sunday's Steelers-Patriots battle, but there's another huge game this weekend, possibly the biggest regular season game of the Russell Wilson era. A Rams victory in Seattle very well could signal a changing of the guard in the NFC West. Steelers offensive coordinator Todd Haley coached with Bill Belichick for three seasons. Sunday, Haley has a chance to get revenge for all of the times Belichick screamed at him.